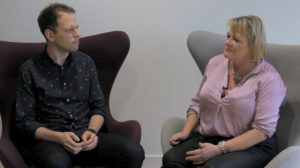 Heather Beach and Mark Glover discuss the relationship between employee and employer when it comes to opening up and talking about mental ill health in ‘Mind Matters’, a series of mental health videos from SHP and The Healthy Work Company. There has been a proliferation of Mental Health First Aid and Mental Health Awareness courses all of which raise awareness and reduce stigma. Yes there are concerns with implementation and standards of education. Yes, we should always look at a prevention first approach which implies understanding where your organisation creates those pinch points for stress. But the positive aspect of all this focus is not only a reduction in stigma and a raising in understanding, but also that many more of us now understand the importance of how to listen non-judgementally without giving our opinions or the benefits of our experience or expertise (not an easy skill for human beings!). Today, however, I want to focus on how difficult this can be for a line manager to get right. As Health and Safety Professionals you will often be responsible for the training strategy in this area – and the temptation is to just do the First Aid part – because you feel that you are not stepping on toes that way…. But you do need to work with HR to formulate a full training plan, because to ignore the needs of your people managers in this area is arguably to miss the most critical part of the training puzzle AND could land you in hot water legally. The very first course we developed (with an HR Employment lawyer) when starting The Healthy Work Company, was a course for managers. I myself had been a manager of large teams and often struggled with this conversation. I was afraid of being intrusive, of saying or doing something which could later put me in an employment tribunal. My first conversation, as a young Director aged 28, was with a man whose father had just taken his own life. He attempted to came in to work as normal. Whilst my human instincts kicked in, I was, in truth, completely out of my depth. As I have got older, and been through a few of the vicissitudes of life myself (including being twice diagnosed with anxiety) I have got better at handling these situations, but even so, it wasn’t until really studying this topic that I understood some of the mistakes I had made. In the latest ‘Mind Matters’, a series of mental health videos from SHP and The Healthy Work Company, Heather Beach and Mark Glover discuss the relationship between employee and employer when it comes to opening up and talking about mental ill health in. Mark, who used to work for Heather, suffers from anxiety. Mark discusses how his anxiety came about, how it affected his work, his relationship with Heather and how it impacted on Heather’s own anxiety. At a recent conference for Building Magazine we developed some Forum Theatre showing a manager talking to an employee who is clearly suffering from overwhelm – recent divorce, too much work. It really struck me watching this unfold yet again how difficult for the manager this conversation is where there is a job to be done, where you make agreements with someone and due to their not being in a good place, they break those. Where does the line between our understanding, our humanity and a performance issue lie? It is such a delicate balance. There is a trend among some organisations to do light touch training with their managers (a little mental health awareness) and shore this up with Mental Health First Aid. “Ah, you are struggling? Go and see our Mental Health First Aid team”. For me this is completely the wrong way round. We cannot train our managers too much in understanding the signs of someone struggling, having that conversation with them and in their duty under the law (which is significantly different to that of a Mental Health First Aider). Added to this, it is often managers causing a problem. Self-awareness, self-mastery are key attributes which should be honed and honed again for managers. So if you are training your managers as Mental Health First Aiders and not doing separate management training, what risks are you running? Firstly, if I come to you, my manager with a problem, am I coming to you as my understanding Mental Health First Aider, or as my boss? Why does this matter? It matters because as an MHFAider my job is simply to listen non judgementally, to normalise and to signpost to further support. Unless there is a risk to life, I must keep that conversation confidential. As your manager, yes I need to listen and signpost, but I must also think about next steps and I must consider my actions in light of the Equalities Act (2010) which covers Disability Discrimination. I should keep a short factual note for myself of the conversation (no MHFAider should do that). I may want to consult with HR about what to do next (no MHFAider should do that, unless citing anonymously). I may want to speak to MY manager (again, no MHFAider should do that). I should also consider next steps. Are there reasonable adjustments to the work I should consider at this point? So yes I would hope an MHFAider might have already encouraged me to speak to my manager but is it appropriate to signpost someone from a manager to an MHFAider? More advice from Mind for managers here. Here are a few top tips to pass on to your line managers who have spotted someone who they feel may be struggling from mental distress. How do you make your approach as normal as possible – can it be left for the next one-to-one or do you need to speak to them more urgently? Could you take them for a walk or a coffee? Ensure you have some privacy and no urgent appointment awaiting you. When you sit down try not to sit directly opposite with a table between you. This needs to be in line with your relationship with the person and your personality. Some people prefer to open with some small talk – but you need to get to the point where you raise your concern. You can start with some open questions or “I’ve noticed that…” “I’m concerned that”…. (note “I”, not we). Often people may not be ready to open up when you are. 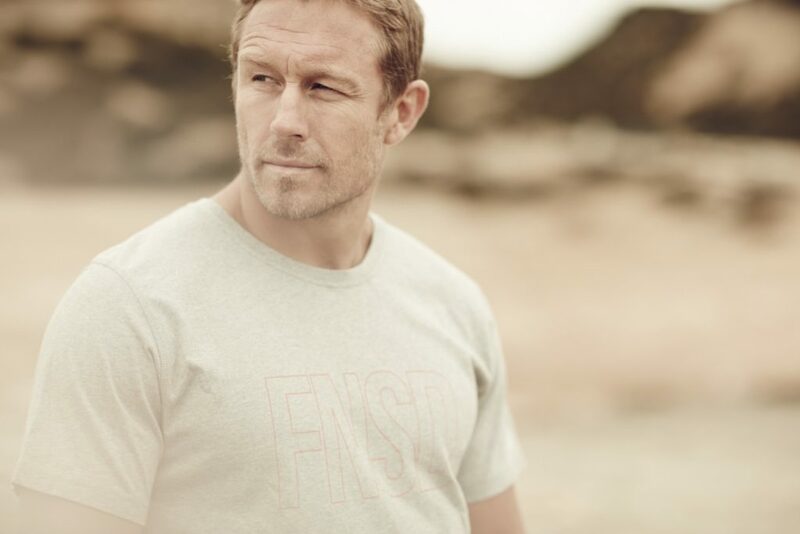 Ask again – don’t just take “I’m fine” as an answer. Your job is to get them to tell you what is on their mind – whether it be related to work or home. This means letting go of your normal (human!) propensity to talk too much. We tend to give advice, relate our own experience and be busy preparing what we are going to say next rather than really listening. Use some tools to avoid doing this, such as summarising what they have said, asking clarifying questions “what do you mean when you say, x, y and z”, or even using …silence! If there is a performance issue you should feel free to raise it. You should offer your support, ask them to think about where you or the organisation can help. Offer to refer them to the EAP, Occupational Health or HR. Leave the conversation with them knowing that you are there for them when they are ready and with next steps clear if appropriate. As their manager, you should make a short note that you spoke to them and what the outcome was. You don’t need to go in to the conversation with a plan, but you do need to consider afterwards what that plan might be and whether options for reasonable adjustments should be discussed. Depending on the seriousness, you may want to inform HR. These might include temporary changes to working patterns, environment, job description, manager for example. More advice is available from the Department of Health. 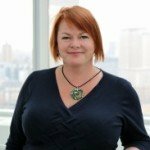 Heather Beach is Founder and Managing Director of The Healthy Work Company. 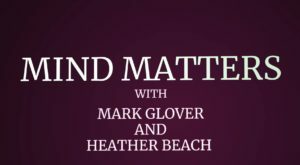 Mind Matters: Talking mental health with your boss Heather Beach and Mark Glover discuss the relationship between employee and employer when it comes to opening up and talking about mental ill health. Reasonable Adjustments ? What is the difference between being born normal or disabled or acquiring a disability ? Should the workplace be an ‘inclusive environment’ in terms of a basic set of “Given Conditions” or actually a “minimalist space” requiring a significant range of additional adaptations, as and when necessary ? Or are we talking about adjusting the mindsets to recognise “everyone is SOMEWHERE on the spectrum of functionality” so why would FM & HR differentiate sub-groups?